Interlocking paving-stones will instantly improve your home's appearance and increase its value. 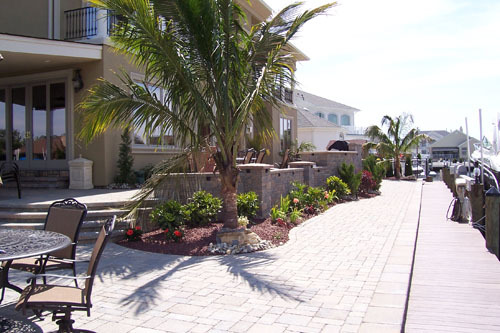 With dozens of styles, shapes, and colors to choose from, the possibilities for your patio, walkway, and driveway are endless. 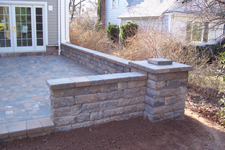 As certified installers, each brick or block is put in place with the utmost care. 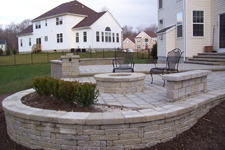 We use deep aggregate base compacted at 5,000lbs to assure no settling or sinking of the stones. 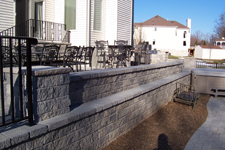 Aluminum edging is used for the retention of the paving-stones that are bordering the patio. Our laser level will guarantee a smooth, flat, and comfortable surface. Uniform and flowing lines are achieved through specialized cutting tools and caring craftsmanship. Our techniques guarantee you a lifetime of outdoor enjoyment.